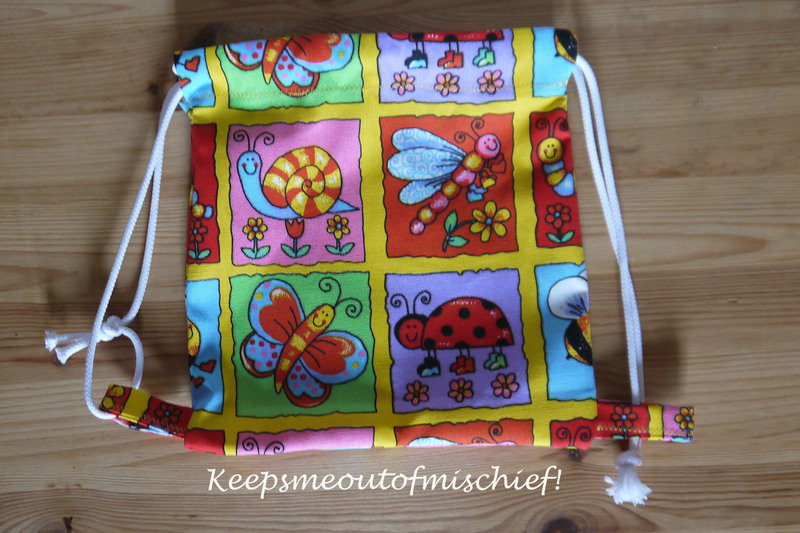 Birthday Bag for a 2 year old | Keeps Me Out Of Mischief! My friend’s little girl was two recently and she definitely takes after her mum as she loves bags! 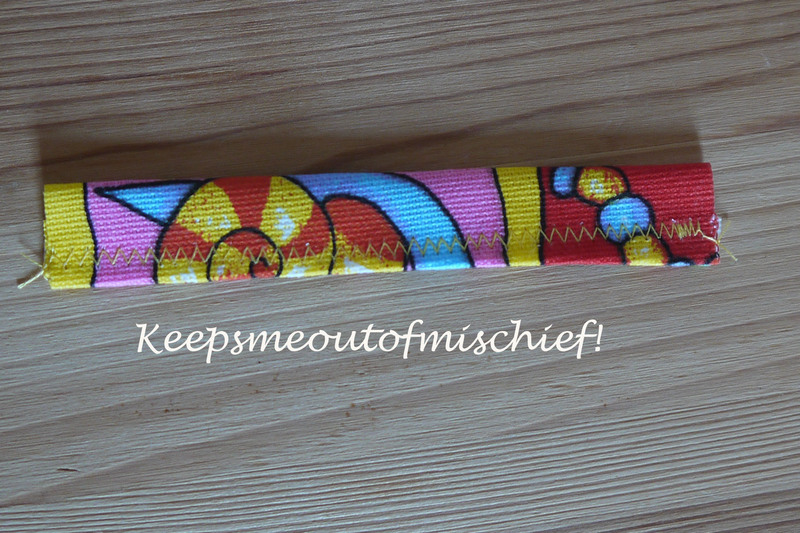 I wanted to make her a little bag and put some little gifts in it so that I could pop it in the post. I bought this fabric when I visited the fabric shop in Manchester and I’d been trying to find something to make with it. I didn’t really measure as I went along, but here’s my tutorial for what I did. Cut out two rectangles the size that you want the bag with a centimetre seam allowance all the way around and an extra two centimetres at the top. I iron the hems down as I find it easier to follow the seams. 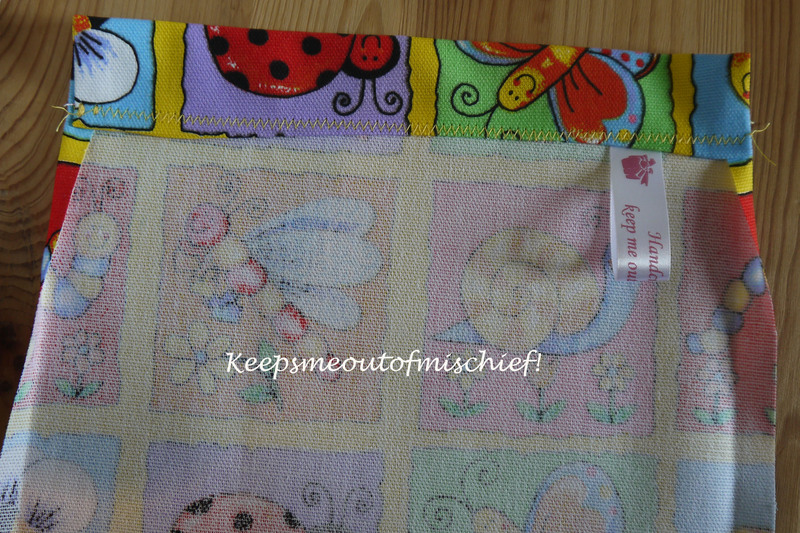 Fold in the edge seams and fold down the top seam and stitch across to form a pocket. Repeat this on the other rectangle. 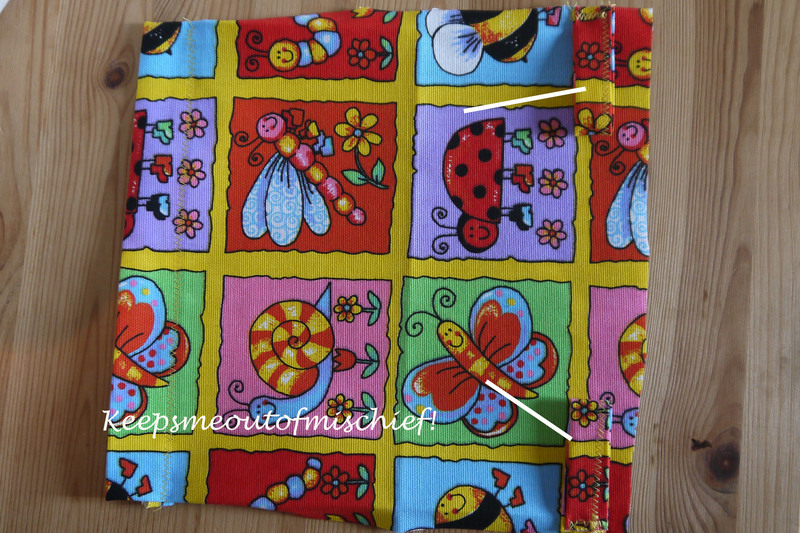 Create two strips about 10cm long by 2cm wide, fold in the hems and sew along the seam. Loop each of these strips and attach to the bottom of one of the large rectangles. Be careful which way round you put them; make sure they’ll stick out when you sew the bag up! Place the two large rectangles right faces together and sew along the two sides and the bottom. Don’t sew over the gap for the drawstring at the top. Measure how long each of the drawstrings need to be. You need to thread them through so that they loop through both sides of the bag and then then a knot near the tab at the bottom of the bag. Repeat on the other side.